The last couple of days have been a chilly, windy return to wintery weather (regardless of the sun!) – what I hope will be the last stint of cold and yuck before a long summer. 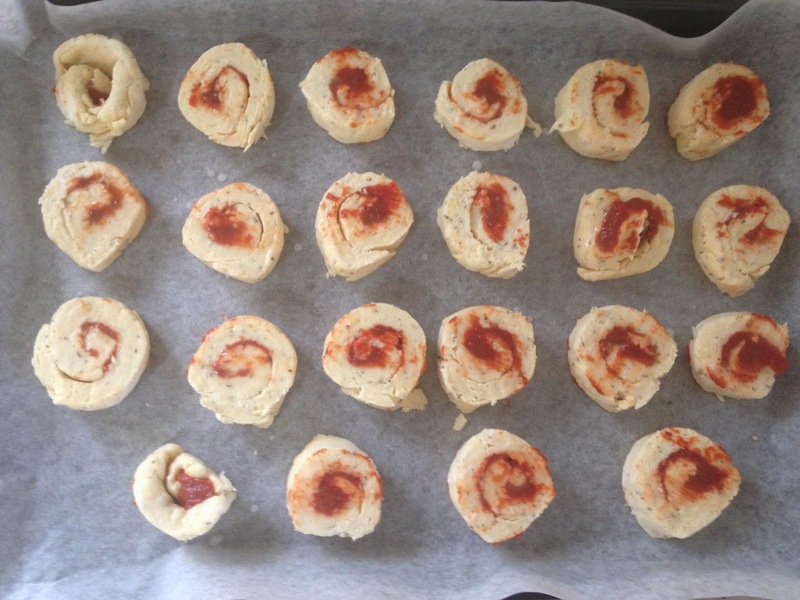 It got me thinking about warmer things – like hot soup, and savoury scrolls (pizza pinwheels, as I prefer to call them). This is a recipe that I’ve been wanting to share for awhile now, not just because they are so popular at shared morning teas! 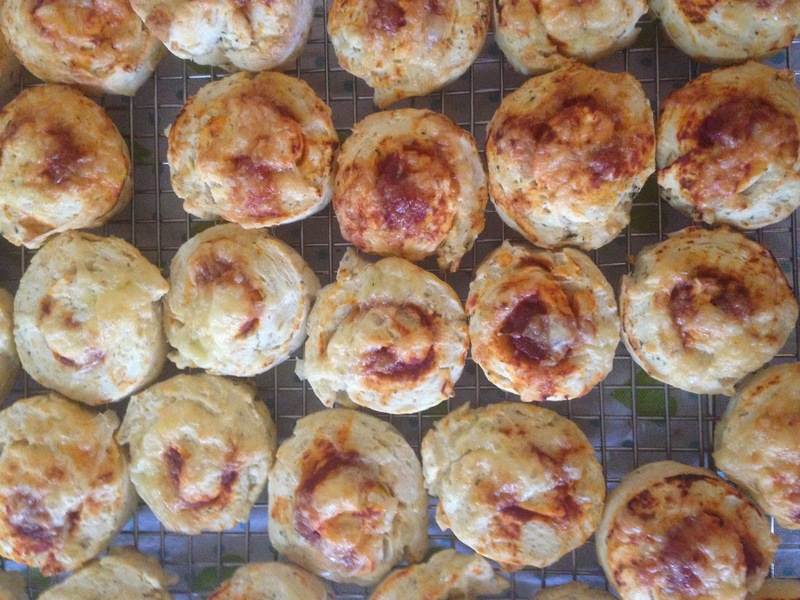 And it’s super simple because you get to use whichever scone dough recipe you know and love. 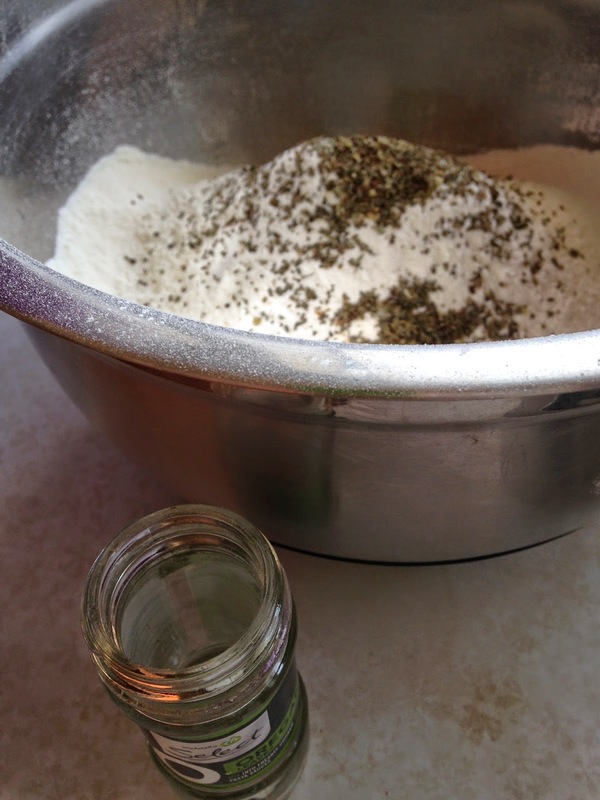 Sift together the dry ingredients for your scone dough, including the dried herbs. 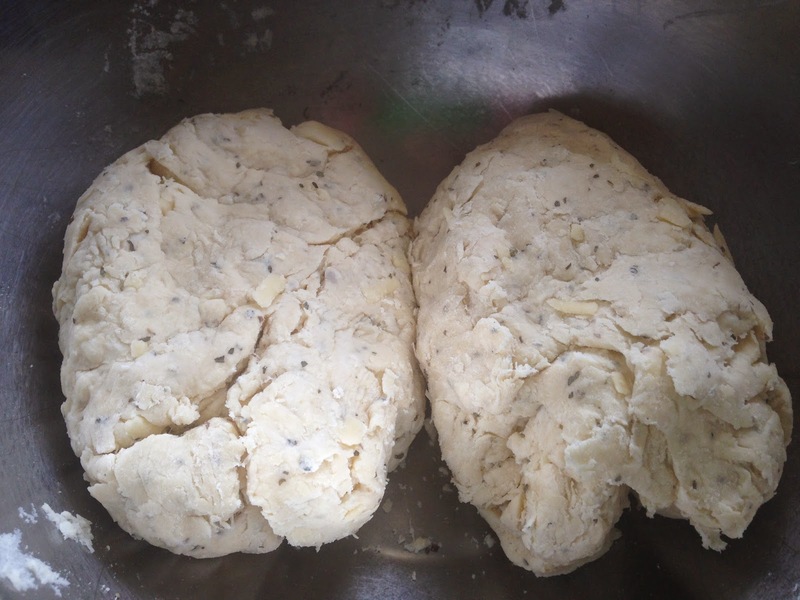 Rub in the butter to the dry mixture as per your scone dough instructions. 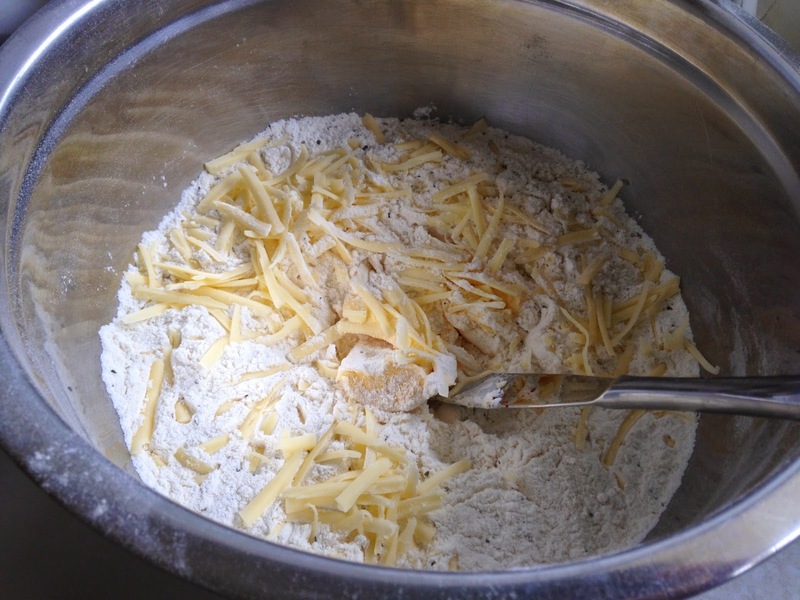 Once the texture of the mixture is like breadcrumbs, add 2/3 of a cup of the grated cheese. Slowly add the milk (1 to 1 & 1/2 cups if you’re also using the Edmonds recipe) and ‘cut’ into the mixture with a knife. The best consistency is when the mixture separates into what look like many doughy ribbons, like the second image below. 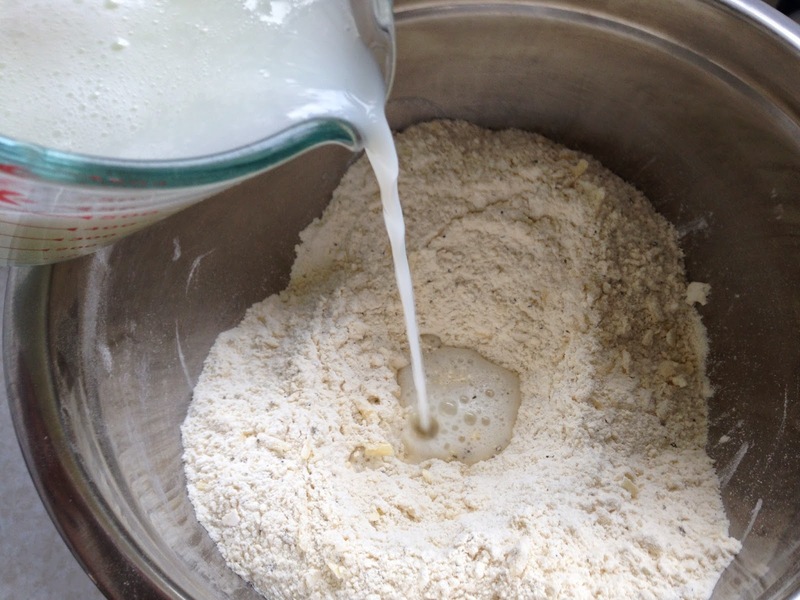 Then use your hands to knead it into one large lump of dough. 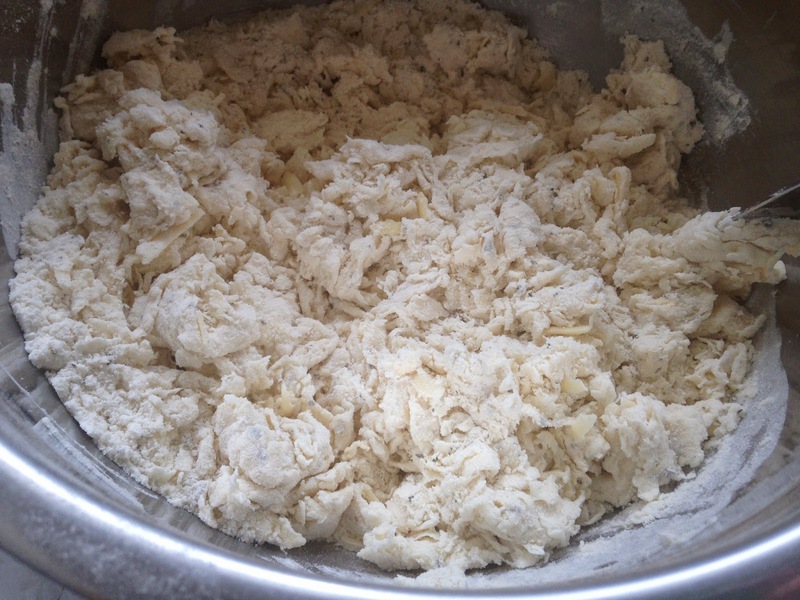 For each half of the dough, shape it into a rectangle with your hands, then roll it out onto a floured board or bench-top. 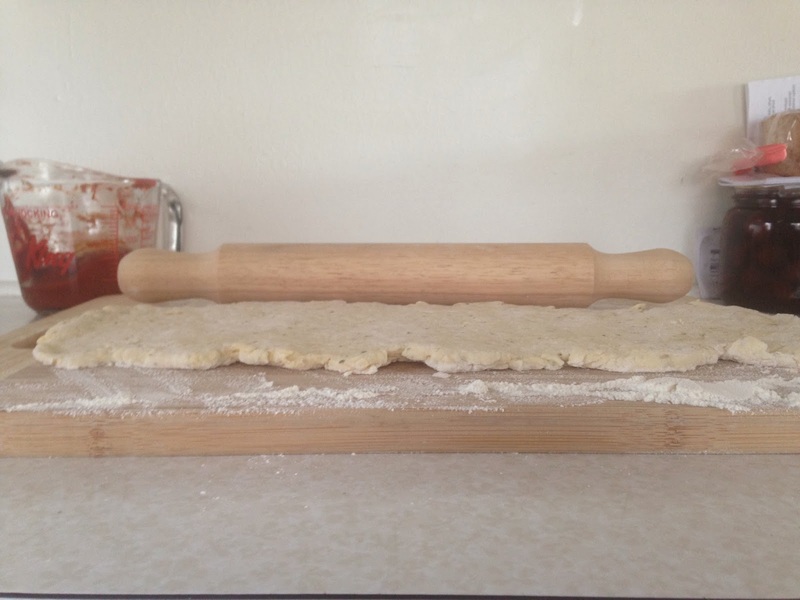 Try to make it about half a centimetre thick, a hand-span wide, and a rolling pin’s length-long! 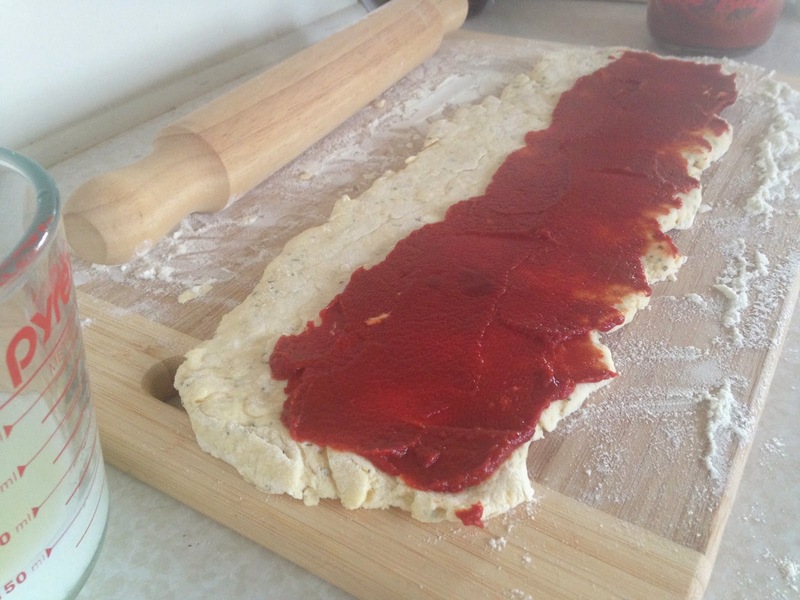 Spread the tomato paste on two-thirds of the width of the dough. 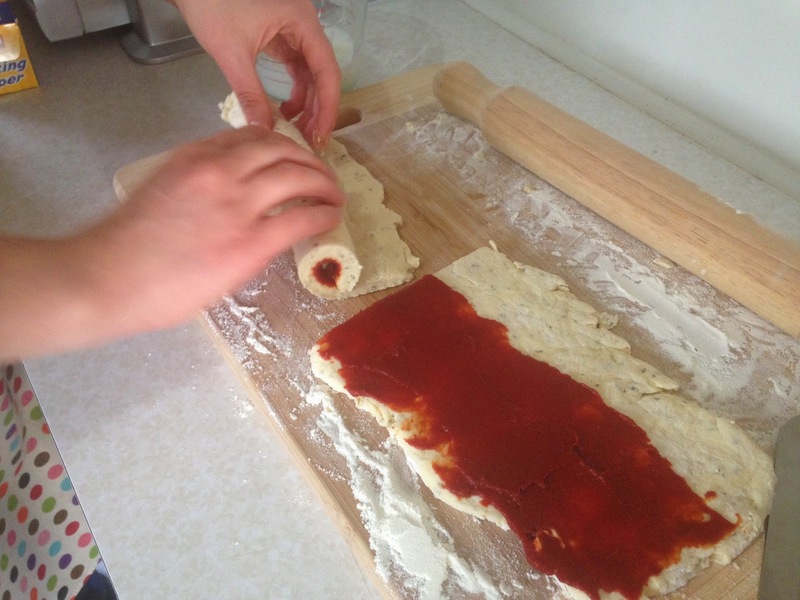 Use a small amount of milk to moisten the edge that is not covered in tomato paste. 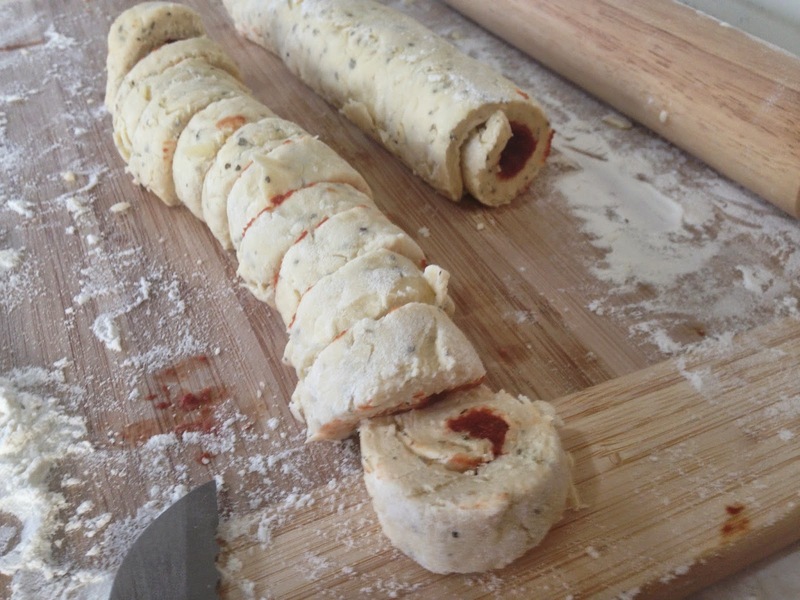 Roll up from the tomatoey edge to the moistened edge (you might find it easier to roll by cutting the dough rectangle in half first). 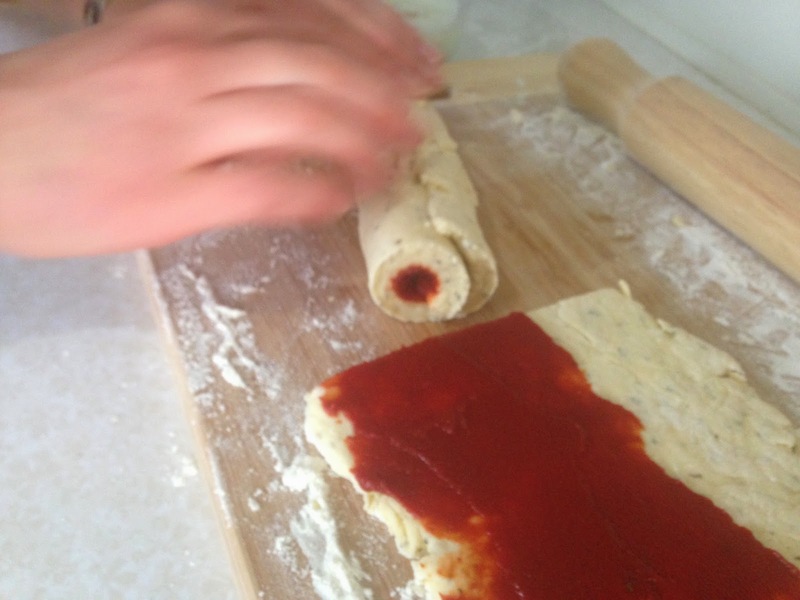 Once rolled up, secure the moistened edge by pressing it onto the roll. Use a sharp serrated knife to cut the pinwheels approx. 1.5cm thick. 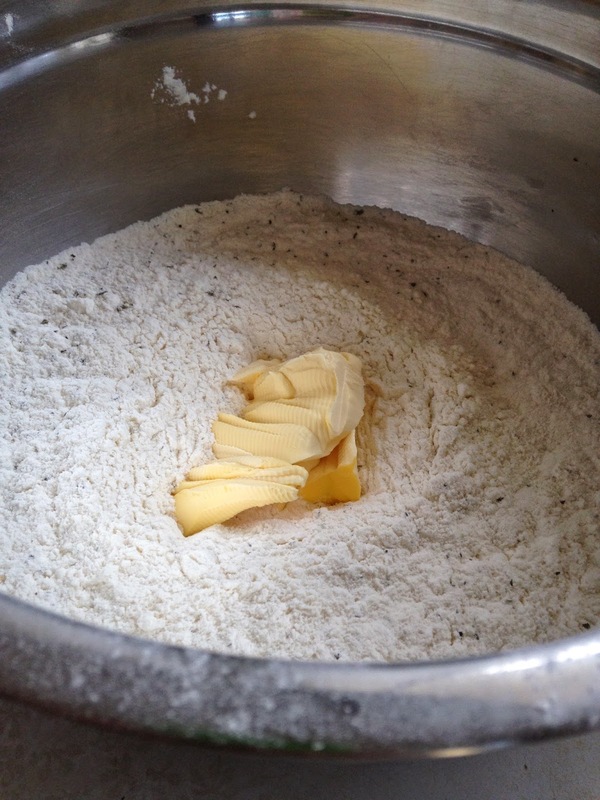 Arrange the pinwheels on a lightly floured or papered baking tray with at least 2cm spacing. 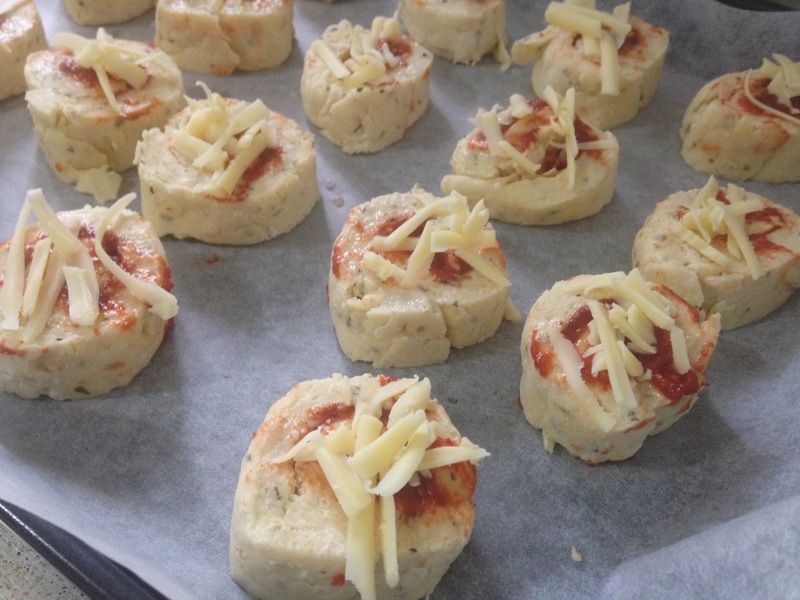 Use a pastry brush to paint the tops of the pinwheels with milk and add a sprinkle of the remaining cheese to each one. 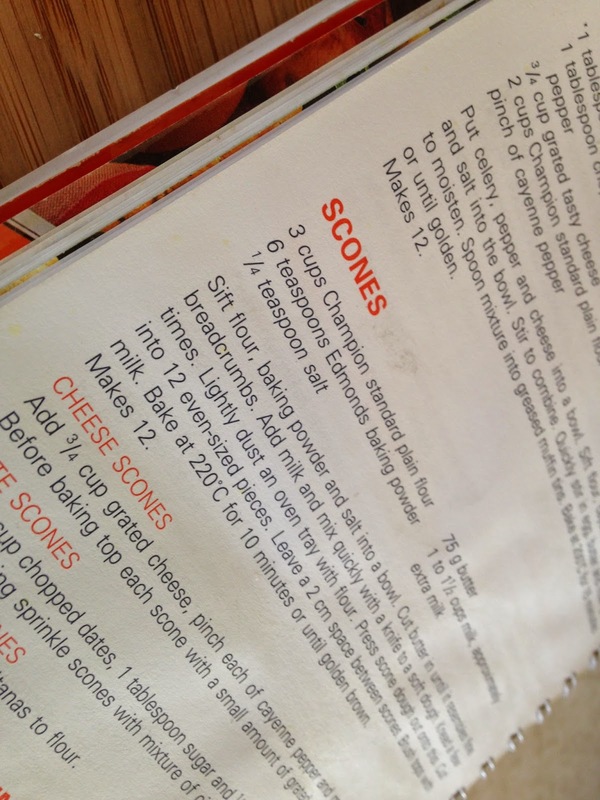 Bake for 10 to 12 minutes in a hot oven (check your scone recipe – probably around 200 degrees C). Cool on a baking rack once done.